No talks unless PM steps down: Opposition - Integration Through Media ....! KATHMANDU: Opposition parties have forwarded PM’s resignation as preconditions to sit for talks with the Maoists. 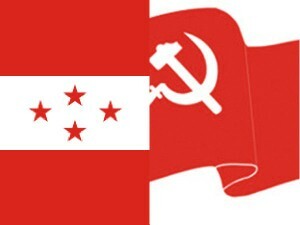 A joint meeting of the 26 opposition parties held at the CPN UML’s office on Saturday took the decision to this end. The meeting decided of not holding any formal talks with the government or the Maoists unless the PM stepped down. Along with that the meeting also discussed the impact of their recent protest programs and has decided to come up with more protest programs. A three member team comprising of Congress leader K P Sitaula, UML General Secretary Ishwor Pokhrel and RPP General Secretary Deepak Bohara to coordinate future protest programs. Similarly they have also decided to show black flags to the PM at the airport if he heads for the United Nations Conference on Sustainable Development (‘Rio+20’), to be held in Rio de Janeiro on June 20-22.